Published in the medical journal The Lancet and written by 37 scientists from around the globe, the study recommends a global shift toward a more plant-based diet, improving nutrition and supporting a sustainable food supply chain that can feed 10 billion people by 2050. 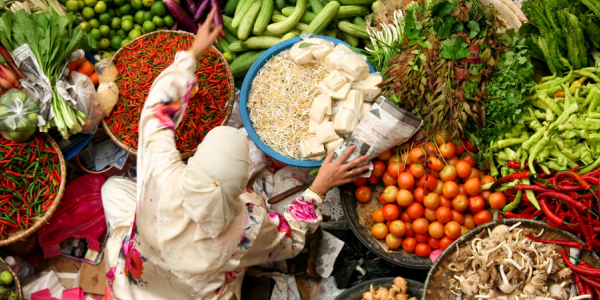 "Substantially reducing food losses at the production side and food waste at the consumption side is essential for the global food system to stay within a safe operating space." The paper proposes 5 strategies for transforming the global food system, stating that "delaying action will only increase the likelihood of serious, even disastrous consequences". This is not the first time we're hearing this advice. The strategies in this report are the latest addition to the existing mountain of global food system management proposals and policies, imploring the planet to reduce food waste. Check out the following articles and subscribe to the Leanpath Food Waste Intelligence Blog to stay on top of industry defining news and publications.